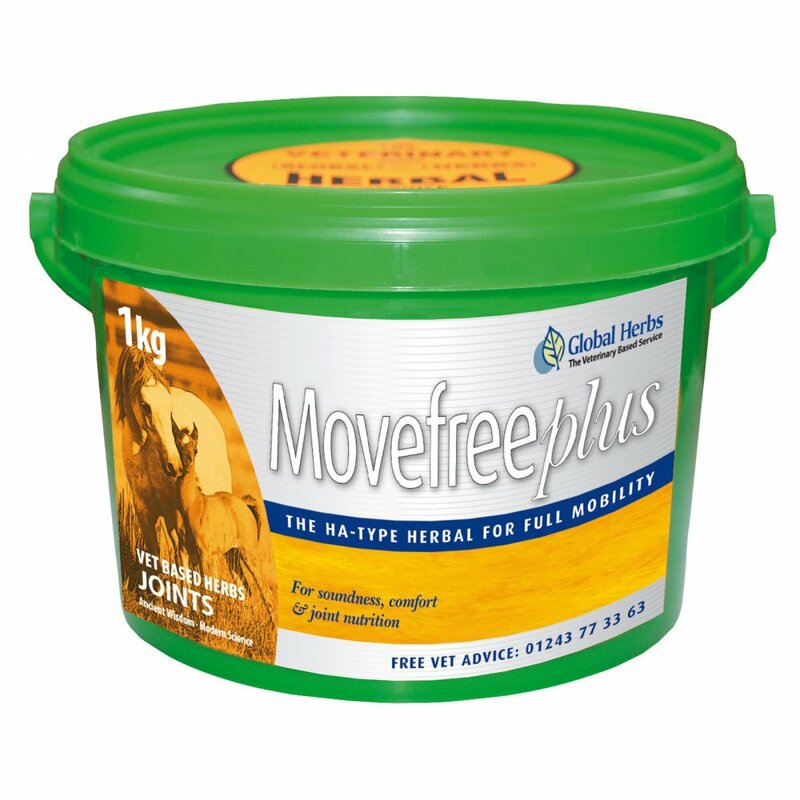 Global Herbs MoveFree Plus is an effective joint supplement that will allow your horse to remain comfortable and mobile without the need for chemicals. This joint supplement for horses works from the inside as a HA-like herbal supplement to naturally bring comfortable movement back. HA (Hyaluronic Acid) is found naturally in the bodies joints, Global Herbs MoveFree Plus is a HA-like formula that makes a rich joint fluid to bathe and feed the inside of the horses joints. This lubricates the joints as well as soothing tendons and muscles. Your horses joints and limbs are designed to be able to recover from the wear and tear of everyday life and even in old age should be able to move freely with the correct nutrition. This Global Herbs joint supplement should be used to ensure full mobility in all equine joints, for example, hocks, fetlocks, knees, shoulders, navicular bones etc. MoveFree Plus can also be used to support muscles and joints during strenuous exercise or competition and to ensure the bodies regenerative ability is not compromised. Global Herbs MoveFree Plus can be fed alongside GlobalVite, Strongbone, AlphaBute and Restore as required.